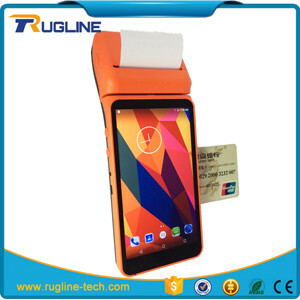 (2) User-friendly control Using the platform of open Andriod system , Full touch screen design , Without training also can operate . (3) Highly integrated Integrates multiple functions , Each function independently of each other, Do not affect each other . 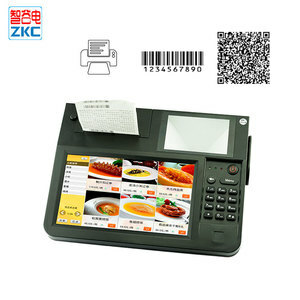 ; (2) Tourist attractions, movie tickets, tickets places other disposable two-dimensional bar code ticket verification ; (3) Commercial organizations, professional card issuers ( As the group purchase, online shopping, electronic coupon platform etc. Q5. How to proceed an order 9 A: Firstly let us know your requirements or application. Please inform us formally before our production and confirm the design firstly based on our sample. Secondly, during the guarantee period, we will send new one with new order for small quantity. 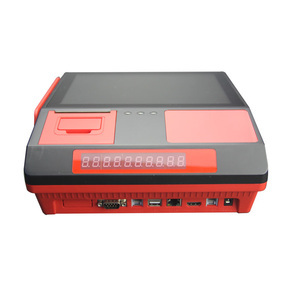 Liuzhou DADI Communication Technology Co., Ltd.
Universal network tester and analyzer, FTTX, FTTH, VDSL, optical network terminal Network tester and analyzer features MST-3530S is a handled intelligent maintenance terminal which integrates 3G intelligent mobile and multiple test modules, has optical power meter, red light source functions, support ONU, xDSL simulation, PC simulation and cable tracing, broadband speed testing and other professional test function. MST-3530S can be installed electronic operation and maintenance software based on Android system to improve the efficiency of installing and maintenance and control efforts, integrated human resource value and promote the image of operators and the quality of experience of users. Network tester and analyzer funtions Universal network tester and analyzer, FTTX, FTTH, VDSL, optical network terminal Important resource verification procedure instruction EPON/GPON simulation test PC simulation Mobile phone function Electric Worksheet Management Bar code scanning FTTH network tester applications Packaging & Shipping -Packing with hard carton and filled with foam to ensure its safrty while shipping. It must be installed in the area where the CDMA network can cover. 1. Insert UIM card into the UIM card holder 2. Install antenna. In order to ensure the quality of voice, antenna must be put beyond 1.5 from the telephone and terminal. 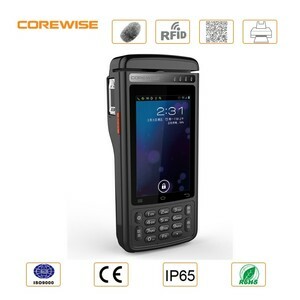 handheld computer brands is a solid and durable industrial grade mobile terminal with advanced function of data collection and real-time In term of structural design, adopts high strength overall magnesium aluminum alloy stand around the main board and LCD screen. , is an industrially leading company engaged in provision of automatic identification products, IOT mobile products and enterprise mobile application service. 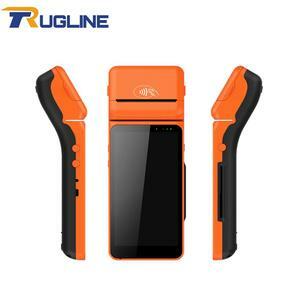 We focus our business on automatic barcode identification devices (mobile intelligent terminal, wired/wireless barcode scanner) and solutions of industrial application software. 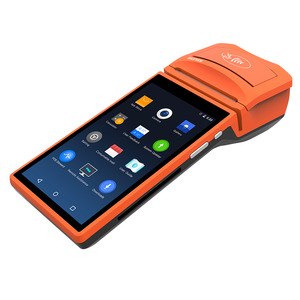 Urovo i6200s: Waterproof, dustproof and 1.5m drop tested Rugged industrial smart PDA to be used as a Data terminal. Free maintenance of the devices and part of accessories replacement in the warranty . if out of the warranty, you'll have to pay the basic cost for them. 2.As for software integration , We not only support 18 kinds of multiple modules but also supply 3 compatible operating systems. Summary The PDA for industrial application is gradually becoming the mainstay for the development of the market. Its particular non glare and reflective technology make the work in the wild sunlight more easy and convenient. There is no need to open the tester and you can remove the battery with the knob. 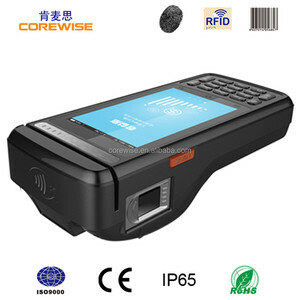 , Ltd (Stock Code:832442) Speedatagroup is an OEM/ODM manufacturer of IoT (Internet of Things) Devices and a Provider of Handheld PDA terminal in hardware and software solution , focusing PDA on 1D/2D Barcode scanner, Fingerprint reader, Portable Printer, UHF RFID reader, 433M, MSR, ZigBee, PSAM, and IC card reader, MRZ, IRIS Scanner. For the past years, Speedata has been rapidly growing as a high-tech enterprise of R&D , production and sales, and furthermore, having extensive application experiences in the IOT field. as its new software development center 2012 Started brand name marketing Set up Shanghai branch office Registered trademark Speedata Launched modulized product design 2014 Provided Brazil World Cup with mobile ticket inspection equipment Reorganization started for listing at NEEQ (National Equities Exchange and Quotations) Company renamed to Speedata Technology Co., Ltd.
Six Multi-color LEDs provide quick & easy status indication to users. The OP10T Basic provides the functionality of a 1x Voice Call through RJ-11 port and CDMA EVDO Rev. Features 1.Cellular Interface Standards : CDMA 1x EVDO Rev. Alibaba.com offers 225 evdo terminal products. such as paid samples, free samples. There are 145 evdo terminal suppliers, mainly located in Asia. The top supplying countries are China (Mainland), Taiwan, and South Korea, which supply 98%, 1%, and 1% of evdo terminal respectively. 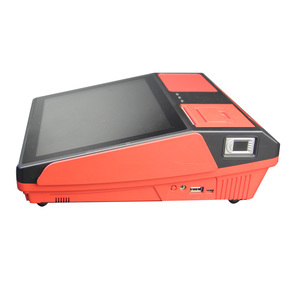 Evdo terminal products are most popular in Domestic Market, Western Europe, and South America. You can ensure product safety by selecting from certified suppliers, including 65 with ISO9001, 29 with ISO14001, and 23 with Other certification.